After visiting Indianapolis, I made my way back to Kentucky. 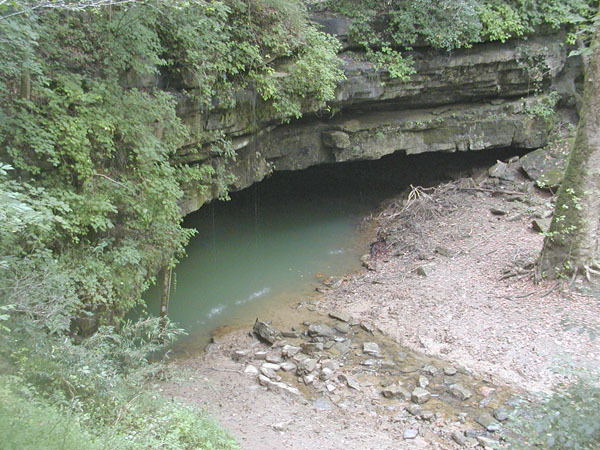 My first visit was to Mammoth Cave. 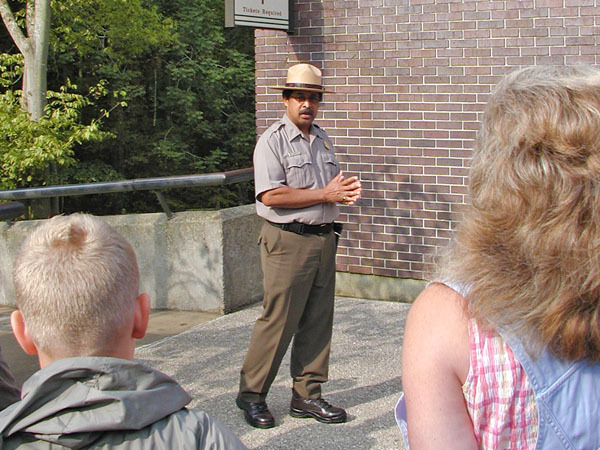 The first trip I took into the cave was the Historic Tour led by the Ranger below. 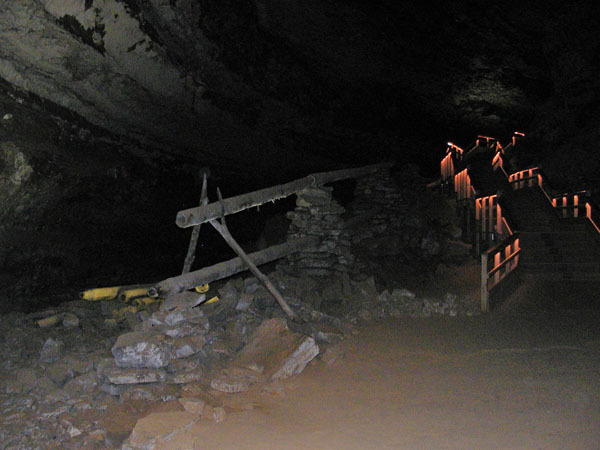 His great-grandfather was one of several slaves who took people through the caves before the Civil War. 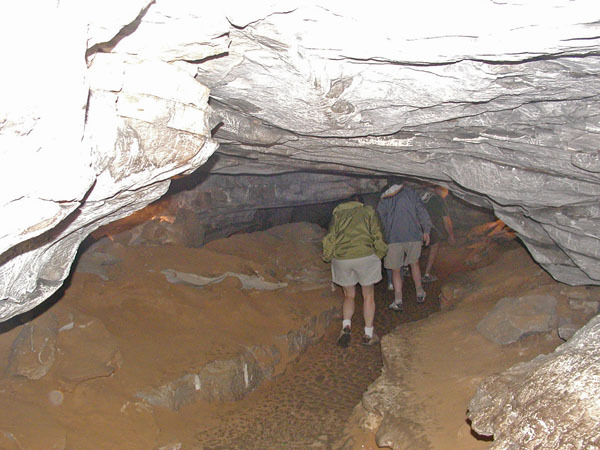 During the War of 1812, the cave was mined for chemicals to produce gun powder. The aparatus in the center is part of the original mining structure. 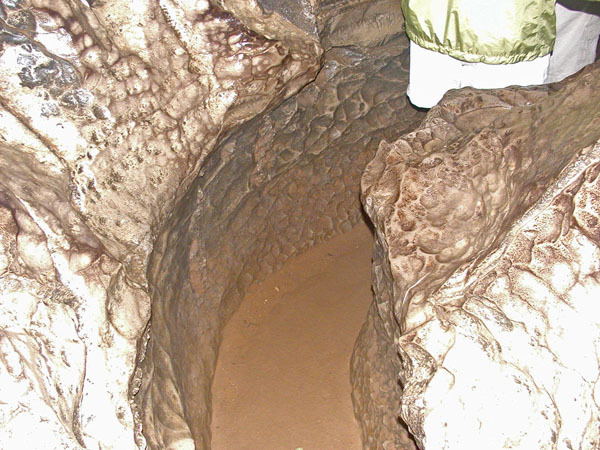 There are many "bottomless" pits in the cave. They used to drop candles down the pits to see how deep they were, but the candles hit the mud below. Since they heard no sound from the candle hitting and the light went out, they surmised it was bottomless -- or ended up somewhere in the middle of the earth. Now they know that most of these pits are about 100 feet deep. They have very interesting names for the formations within the cave. Here we have"Tall Man's Misery" (because it is so low); "Fat Man's Misery" (because it is so narrow -- and low); and "Giant's Coffin." 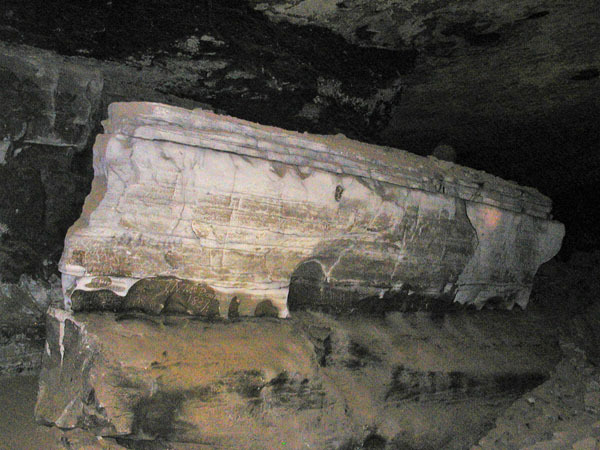 In one of the other ends of the cave is a formation they call "Frozen Niagara." It does kind of look like the falls. 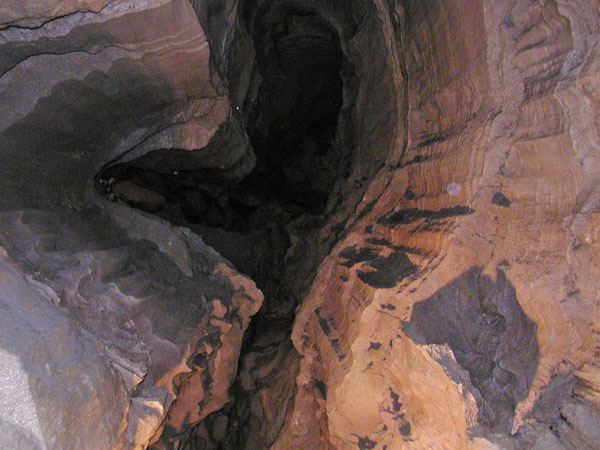 In most of the caves they don't have a lot of stalactites or stalagmites because there is a cap of sandstone over most of the cave area that prevents water from dripping down through the limestone. The river that cut the cave exits about half a mile from where we entered the cave. The water then flows down to the Green River. This deer and a few friends were waiting by the road as I left. 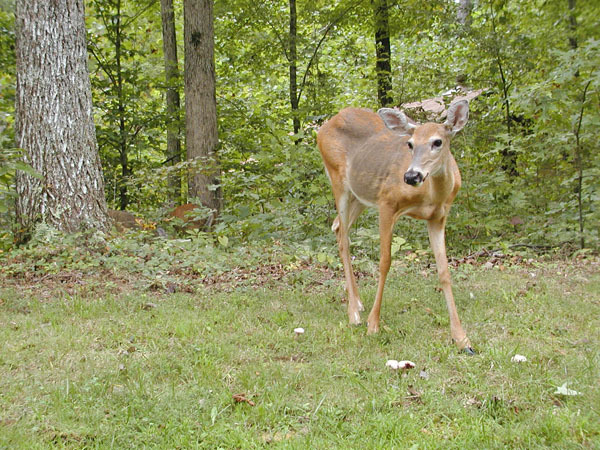 They are quite friendly and pretty much unafraid of people.